Expires in 1wk . Last validated 2mo ago . Used 5 times. German This deal was verified and it is working as described. 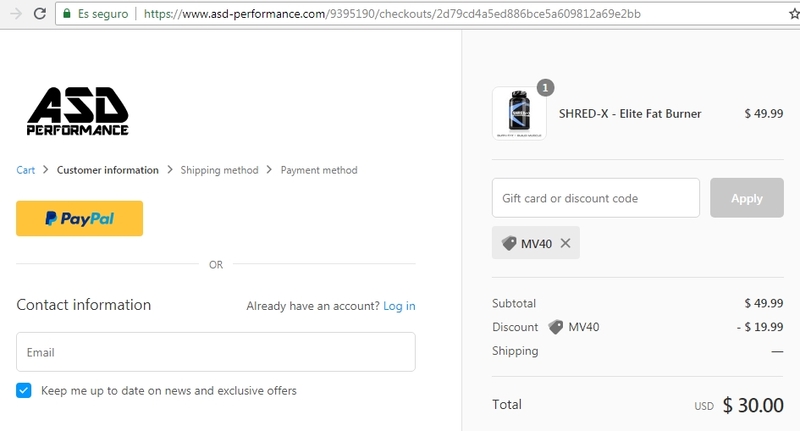 Select the items and enter the promo code <MV40> at checkout to get 40% off your next order at ASD Performance. Emily Villalba This coupon is valid and working as described. Select your product, go to the shopping cart, enter the promotional code and Get 40% Off Your Next Order at ASD Performance. 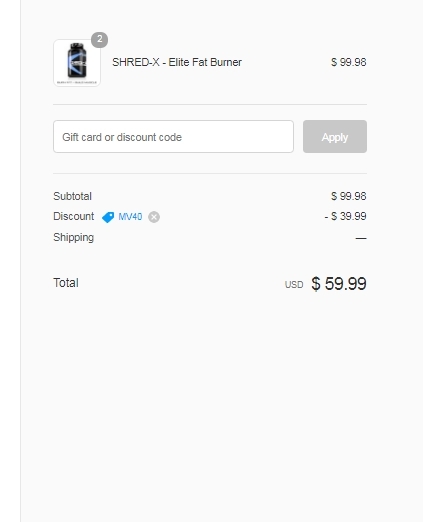 Pedro Zambrano Tested this deal and it´s working as described. 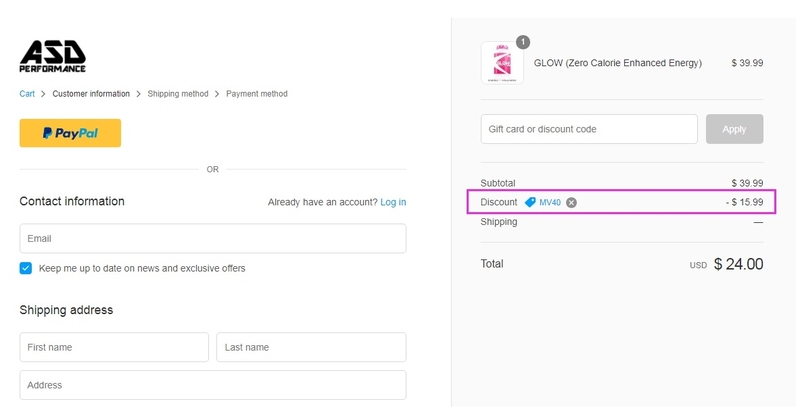 Simply enter the promo code in the checkout section to activate the discount.